I like to travel (usually with my kayak) and document these travels, which is where this website comes in useful... A place for me to record what I get up to, and to share any of the photos I take along the way. If you would like to get in touch with me, please send me an email. 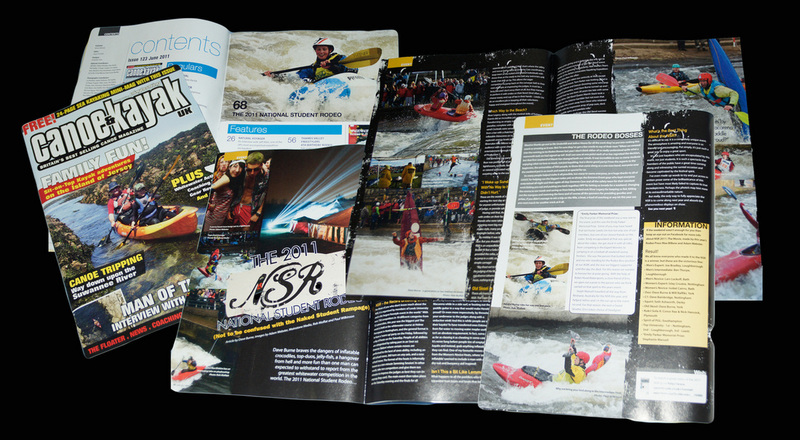 June 2011; Several of my photos from NSR were used for Dave Burnes' write up of NSR '11. Dec 2011; My photos accompanied an article I wrote for CKUK after the BUKE 2011 expedition to Venezuela. Jan/Feb 2012; A couple of my photos were used in Dave Burnes' two-part article on planning an expedition. #40 Winter 2011; One of my photos was used alongside a brief news article about the BUKE 2011 expedition to Venezuela. Jonny Hawkins' article about the BUKE expedition to Venezuela was illustrated with a selection of my photos. Much Better Adventures.com, Sept 2011. Alpkit.com's Daring Deeds, Oct 2011. Alpkit were kind enough to support our expedition to Venezuela, and ran an update article and final summary on their website, illustrated with a selection of my photos. The Oxford Student, Feb 2012. I was asked to shoot some photos to accompany a preview of one of the student run productions as part of the Turl St Arts Festival for the Ox Stu website - one of the Oxford student papers.